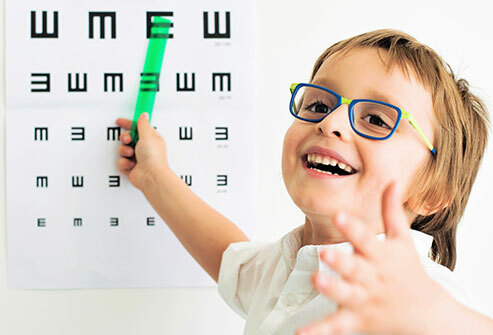 OM EYE CARE has a dedicated pediatric eye care setup . Hospital take care of paedetric eye care. As a parent, there are several things that are on your mind when it comes to your child’s health. Is my child eating well? Are his bones strong enough? vision is in safe hands and can be worked upon if something unusual is detected. Hence, We At OM EYE CARE special emphasis on your child’s eye care and also urge parents to visit us for regular eye checkups. As your child’s vision is highly important, a regular visit to a pediatric ophthalmologist is imperative for optimal eye care. Let’s take a closer look at why it is important for kids to visitan expert regularly. One of the most common vision problems i.e. myopia (nearsightedness) is likely to develop from childhood. Although the close-range vision is sharp and clear, long-range vision is vivid and it is difficult to look at objects that are far away. As your child is not likely to understand what is written on the blackboard, it could take a toll on his/her academics. 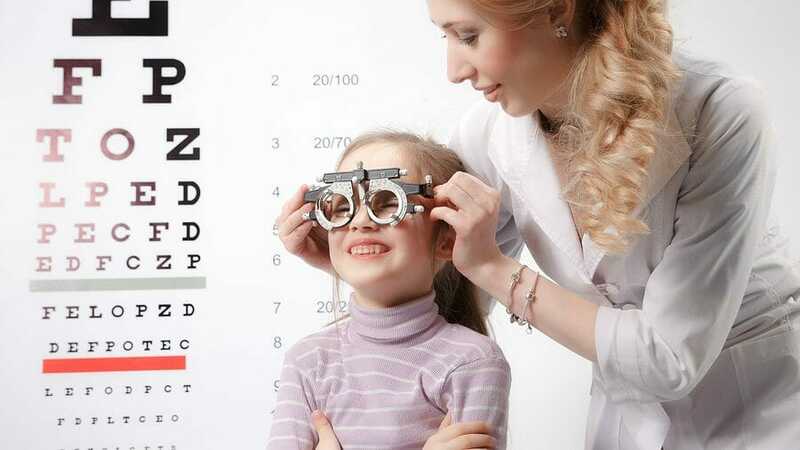 Hence, regular eye checkups will ensure your child receives ideal treatment at the right time. At present, it is fair to say that technology is an important part of our lives. The onset of TV sets, computers, mobile phones means that your child is constantly looking at a screen either for entertainment or to learn something from the internet. Hence, the blue light that is emitted from the screen of these gadgets could lead to ocular changes that may go unnoticed for a long time. According to our experts, children should wear computer glasses to protect their eyes, decrease strain on the eye, and most importantly keep your eyes in ideal condition. Although your child’s vision may have altered, there is a high possibility they might have not yet identified the same. Hence, visiting a pediatric ophthalmologist is essential as your child’s eyes can be assessed regularly. Since our experts are highly trained and have years of experience under their belt,it is easier for them to identify problems related to visual changes. Moreover, we adopt the latest technologies and treatments to ensure each patient receive the best eye care treatment. One of the main benefits of visiting an eye specialist regularly is that underlying vision problems are detected. Once the issue is detected, it creates opportunities for us to take the right measures to treat our patients. Moreover, by regularly visiting an eye expert, a minor problem that could potentially become complicated in the future is taken care of ensuring your child’s quality of life is not compromised.Our sole aim while treating children is to ensure they feel comfortable and relaxed in our state-of-the-art hospital as we understand they are likely to be apprehensive before a Treatment.